This report applies the International Resource Panel report, Decoupling Resource Use and Environmental Impacts from Economic Growth to cities. The core argument of the Decoupling Report was that a transition to a green economy will depend on finding ways to sustain economic growth rates without escalating rates of resource use. To achieve this decoupling, appropriate sustainability-oriented innovation will need to be initiated, promoted and applied on a large scale. 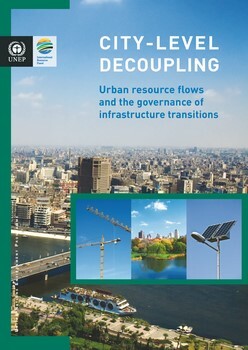 The report discusses some emerging trends within cities that demonstrate that it is possible to decouple urban development and rising rates of resource consumption, in other words resource decoupling.